Find out how much you would weigh on the planets in our solar system. 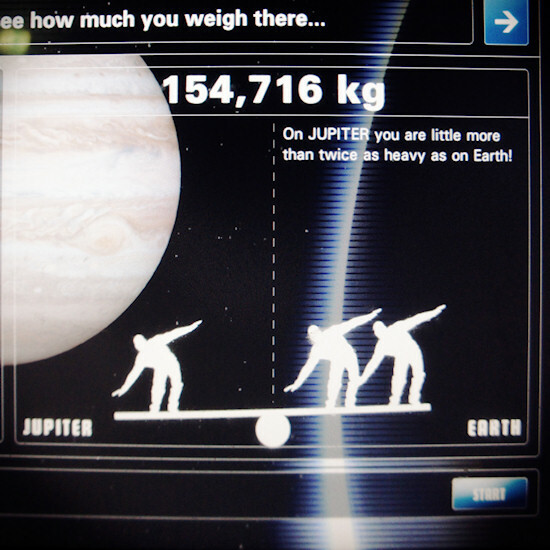 You would weigh more on Jupiter, Saturn, and Neptune, and less on Mars, Mercury, Venus, and Uranus. Screenshot made at the Space Expo in Noordwijk, the Netherlands. Hi, gravitation is one of the most interesting and mysterious phenomenons in our universe and it is still not fully understood. Basically, gravitation holds together the big structures in the universe such as our solar system, the Moon, and the atmosphere on Earth and it is the reason why we fall downwards when we jump. Mass and weight are not the same. While we usually use weight (the amount of "pull" towards the Earth) to measure our mass, mass is the amount of matter of an object (in the Newtonian sense). So our perceived weight depends on two things, our own mass of course and the gravitational field surrounding us. According to Newton, gravitation is directly proportional to the mass of the planet and inversely proportional to the radius of the planet squared if you stand on the surface of the planet. The farther away you are from the surface, the weaker the gravitation gets. So, how much would I weigh on Mars. 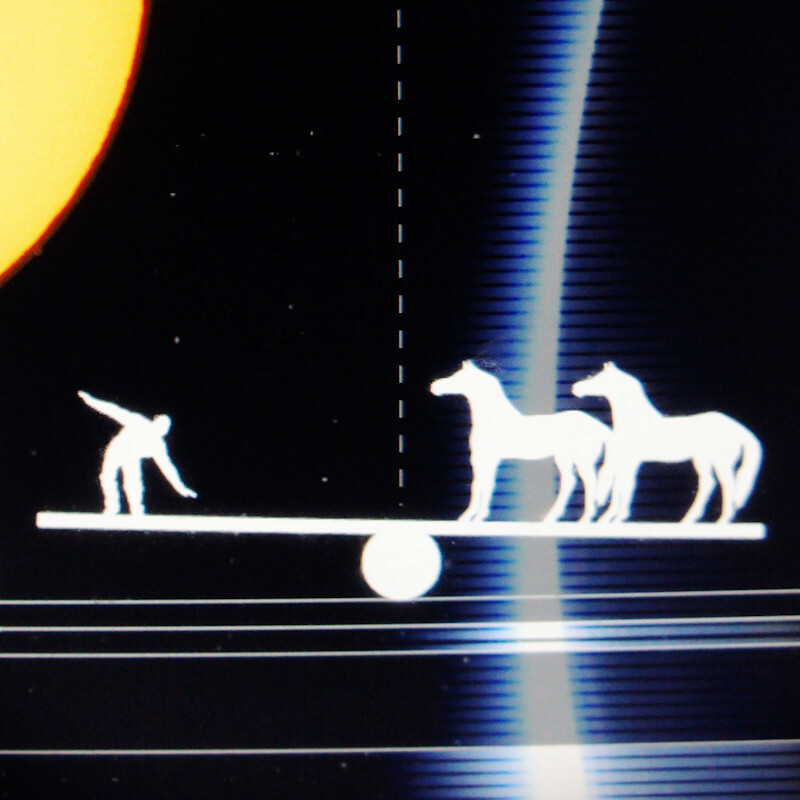 Given I weigh about 66 kg on Earth, I would only weight about 25 kg on Mars, which would be funny for a short visit if beaming would be possible ;) Traveling on a space ship or living on a foreign planet with low gravity, however, would immediately have a big impact on our muscles and body functions. Returning to Earth would be difficult if we manage to somehow survive on the planet in the first place. Interestingly, Venus, Saturn, Uranus and Neptune have a similar gravitational field comparable to the Earth. 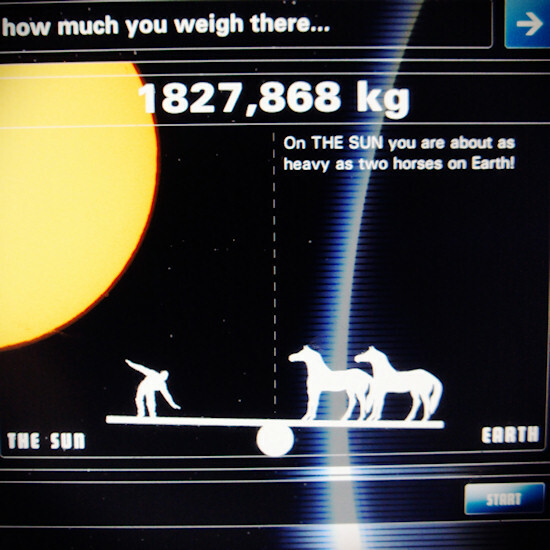 Just for fun, you can also calculate your weight on the surface of the sun. 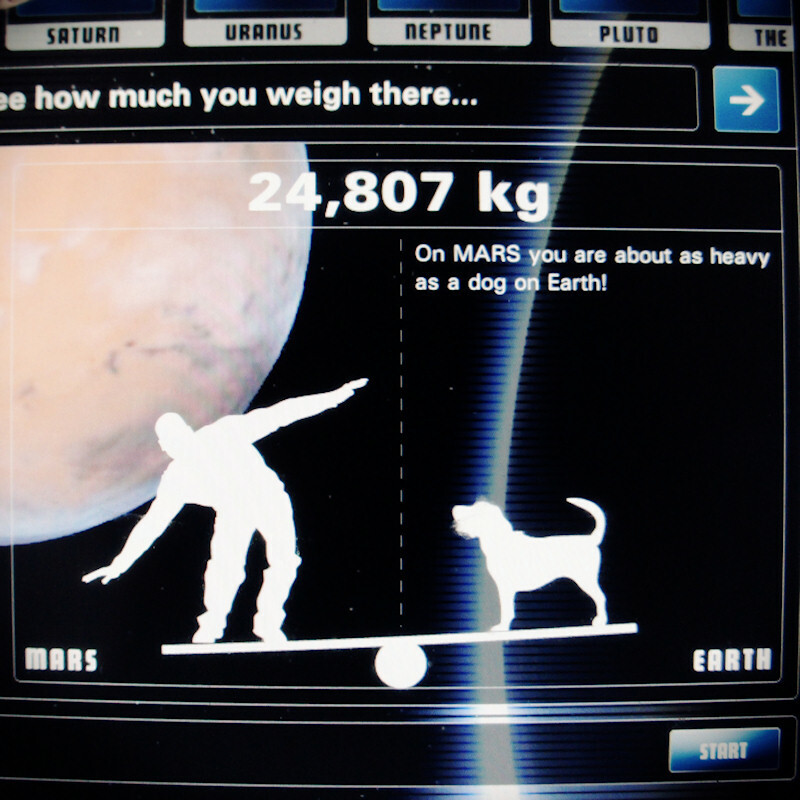 What is your weight on Mars?